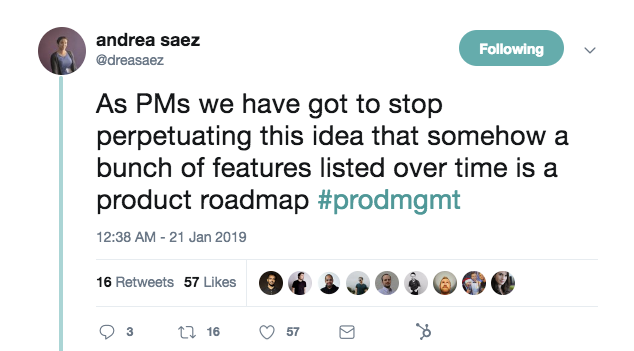 We’re back with part 4 of Overheard in Product—a series where we round up all of the tantalizing conversations from product folks that you may have missed on the web last week. 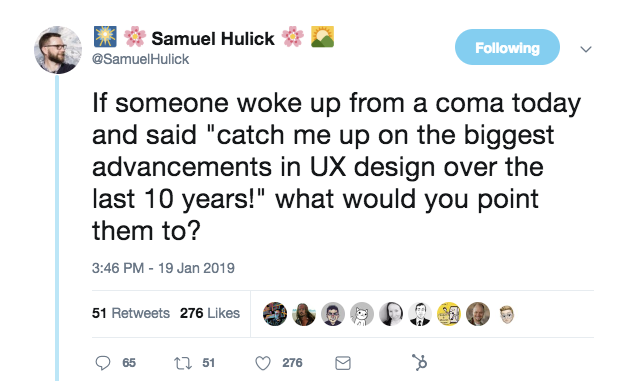 This time, we talk about a big secret in design, what to say to folks who ask to add a feature to a release, why Gantt charts are more like can’t charts, milestones in UX design, and a breaking story about astronomy. First up: Andy Budd, UX designer and CEO of Clearleft, exposed a big secret about design. Ok, so maybe that’s not such a huge secret, but it’s an important reminder nonetheless. 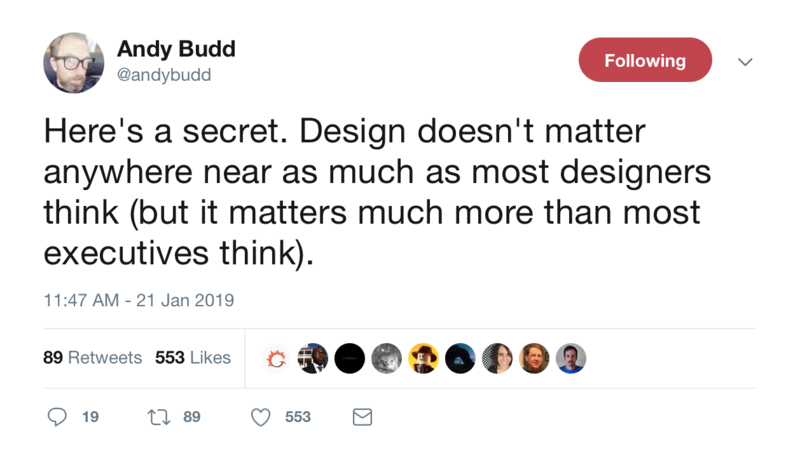 Most folks agreed, and took it as an imperative that designers should work to improve their communication with executives and their own business knowledge. 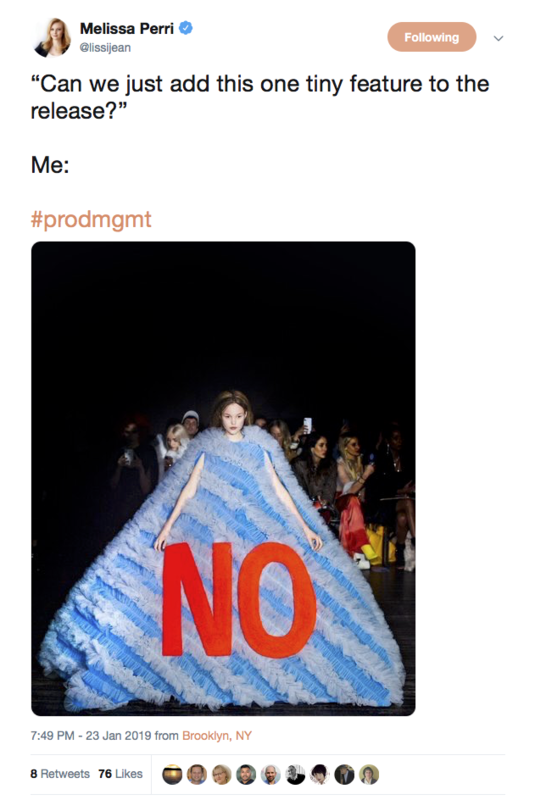 Looks like that same fashion designer also has a perfect outfit for Melissa’s next conference, too. Liz Love chimed in that her autocorrect changes “Gantt chart” to “can’t chart” which is pretty serendipitously clever. Some notable mentions, Nir Eyal’s Hooked model, voice-based UX, and object-oriented UX. What made the moon, made us too. Last week, Guardian reported that 4.4 billion years ago, a Mars-sized object crashed into the earth—sending a chunk off into space that eventually became the moon and also depositing the carbon and nitrogen that eventually created life itself. If you want to expand on any of these product topics or others by writing for our blog—get in touch. We’d love to chat!